Delicious salmon & dill pate. GLUTEN FREE. 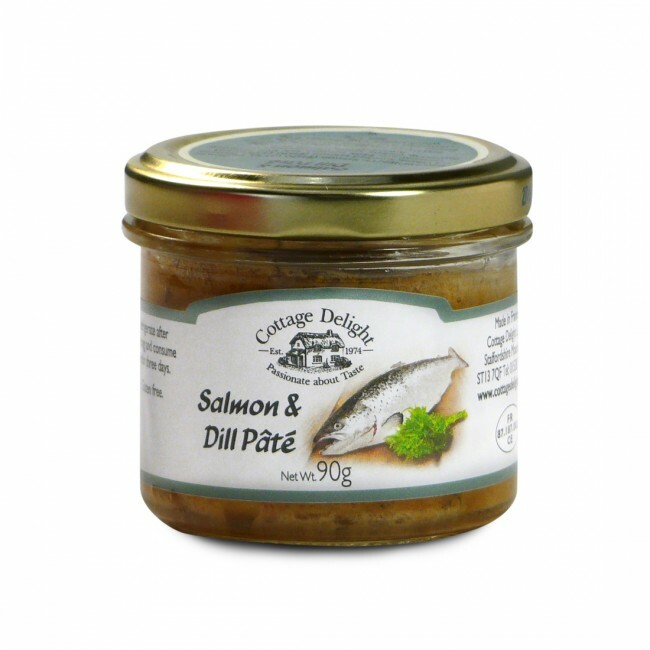 Excellent with gluten free oatcakes and featured in our Luxury Christmas Hamper. Ingredients: salmon (35%), vegetable oil, smoked salmon (15%), tomato concentrate, milk proteins (contain lactose), salt, Dill, gelling agent: Carrageenan, dextrose, antioxidant: ascorbic acid.. INGREDIENTS: Salmon (Fish) (35%), Sunflower Oil, Water, Smoked Salmon (Fish)(15%), Tomato concentrate, Milk protein, Salt, Dill, Natural flavouring, Gelling agent: Carrageenan, Dextrose, Antioxidant: Ascorbic acid.